Eastwinds computer furniture is designed for the technology-driven office and adaptable to a variety of environments. 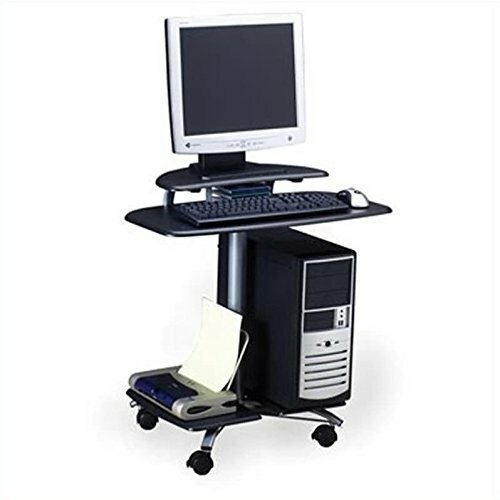 Features: Raised flat panel platform Printer shelf CPU shelf Media storage CD holder ; Keyboard tray shelf Mobile, with 4 locking casters . Specifications: Overall Dimensions: 29.5" H x 27" W x 24" D Computer Storage Area: 21" H x 9.25" W x 15.5" D Keyboard Shelf Size: 28" W x 16.5" D .